Social media is known for how vile it can be, especially when it comes to changing geek properties to be more exclusive, as we’ve seen over and over again in comics or in specific instances like the all-women Ghostbusters. 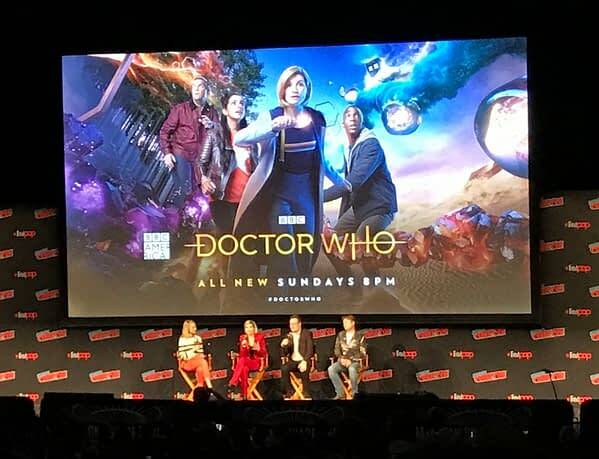 But when it came to the reveal of Jodie Whittaker as the all-new, all-female Doctor, the response, according to BBC number-crunching, was overwhelmingly positive. Now, how will people react to her first episode? Let us know what you thought about it in the comments. Bleeding Cool Ace Reporters Amanda Gurall and Adi Tantimedh are at the panel sending us live updates to turn into clickbait articles, so stay tuned. We’ve got at least one more left in us.